Allergies are not just a mere inconvenience. If not treated early and with right medication, allergies could become a more severe ailment, like asthma, for example. Probability is that almost every single one of us has experience an allergic reaction to something. Be it pollen or insect bite, dust or animal dandruff. What we need to remind ourselves with is that allergies can and should be contained! We also need to be aware of our Personal source of allergic reaction. Today’s discussion does point it out and dwells on the major points of what steps to take towards it. Another huge point to make is that there’s a ton of over-the-counter Allergy, Sinus and Congestion relief medication out there. Which one to choose? And WHY? Today, we are honored to welcome Zicam representative who will be available to answer your questions about their line of Allergy, Sinus and Congestion relief medications. Take this opportunity and run with it! Come later for some amazing prizes, too! At the end, it is important to learn about your body as much as you can. Allergies are just a small part of it that needs our attention. Let’s give this attention to it Today! • Comment and Say ‘Hello’ to all. Please Welcome our Sponsor Zicam during the live portion of our meet-up here. • Please share if you have any allergies and if you know the SOURCE of your allergic reaction, like dandruff, mites, plant or pollen, dust, etc. Good morning to all. Thanks Zicam for sponsoring AM Coffee. Good morning everyone. It is cloudy and a bit chilly than it has been here. The rain is causing flooding here but a lot better than snow! Thank you Zicam for being here. I love when companies come and chat with us regular people who have questions. I did not have allergies until I had my son. Now it seems every April I get a bit clouded and runny. It only last about 2 weeks so it must be something that is growing in April as the last three years it always hits. Agree with you here. It seems that every year things get worse and worse. Also, Welcome to the chat. Thanks so much Zicam for your information access. I remember a while back trying Zicam but I cant remember my reaction or if it helped lol My memory is fading sorry. 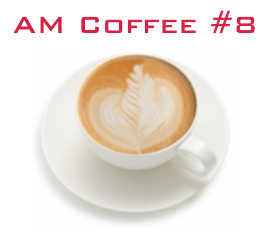 Good morning and ty Zicam for being with us. Dust and pollen are some of my allergies, my husband also suffers from allergies. Thanks so much this has been a great morning with lots of information. Good morning, our whole family has allergies. I’m allergic to cats, dust, pollen. My kids have bad allergies when it’s windy and alot of pollen out. 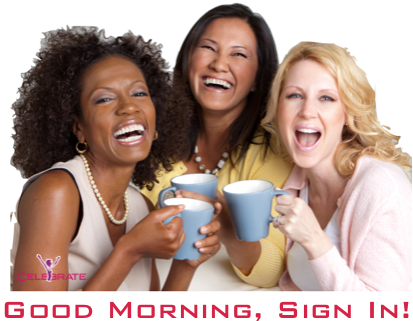 Good Morning Ladies. My family is plagued with crazy allergies to everything. We have always had one or more of us with some sort of allergy to something. Now with my young Grandchildren we are even starting to see them with allergies. I feel terrible they are getting these handed down . I personally use a prescribed nasal spray on a daily basis to keep my sinus from filling up. Good morning, Living in West Virginia. We are in the middle of allergy. And its really bad here. Good morning ladies and good morning Zicam!!! My whole family suffers from bad allergies, from dust mites all the way, to pollen, to grass, to even the dead skin on people! I’m not sure of everything that I am allergic to but I know it’s got to be a lot! ASK ZICAM YOUR QUESTIONS HERE! Take this opportunity to clarify the use of their products! Do you have a Question about Zicam? Place it here! You are getting the answer from Zicam personally! Do your products work as well as prescription medications (like zyrtec before it was otc ??) What is the best product to use for dust allergies? Jessica – the best product to use for dust allergies is probably our Allergy Relief product. It’s a good, homeopathic alternative to traditional OTC medicines, and it will help relieve common symptoms like sneezing, runny nose, itchy eyes, etc. Here’s a coupon to give it a try when you get a chance. Can you use both Zyrtec and Zicam together? Also is it covered under some insurance like Medicare? That is something I was wondering as well-also is Zicam safe for children? If yes starting at what age/size? Hello! Our Extreme Congestion and Intense Sinus products are for adults and children 6 years of age and older. Our Allergy Relief is for adults and children 12 years of age and older. Do you make a product for children younger than 6? No, unfortunately we do not make a product for younger children… maybe someday! Hope your kids feel better soon and can find some relief! Zicam: Is your company in thoughts of making a product for children younger than 6? I know personally a few moms that want meds for their young children. It also appears there are a few here looking for products under 6. Hmm ok Well unfortunately I guess we will hav to wait……..
Our Zicam products work great – have you tried using nasal sprays/gels before? They can help provide relief right at the source of the issue (Extreme Congestion, for example, is formulated with soothing Aloe Vera). Here’s a coupon to save $6.00 when you buy 2 products, though the gels are usually $10-$13 at any drugstore. Thanks for the question, Brianna! My concerns are not only with other drug interactions, but contents? I do have a rare kidney disease and there are even some natural resources that act as diuretics that am not allowed to use as it drains my potassium? Are your products safe for people with Asthma, & HBP? Great question, but we don’t want to give you specific medical advice… We suggest that you speak with your healthcare provider if you are under a doctor’s care for an existing medical condition or are taking any other medication before taking any Zicam® products. Thanks for the question! Are you products safe for people with thyroid disease? I am going to try this thanks! Why would we use a spray instead of taking a allergy pill. One reason is that our products (made with Aloe or Eucalyptus) can be applied right at the source of nasal congestion for a soothing effect. Here’s a coupon to give it a try. What medicines do you currently use? Hope you’re battling the allergy season OK! On average how much do these cost retail at say your local CVS? And do you know who sells them for the best price? Mandi – another good question! Generally, the gels cost somewhere around $10-$13 at a drugstore… and you can use this coupon to save up to $6. As you may noticed from our Zicam Introduction, Zicam Allergy Relief, Intense Sinus and Extreme Congestion are labeled as HOMEOPATHIC products. Do you know what HOMEOPATHY means? I contacted the National Center for Complementary And Alternative Medicine (NCCAM) for how they define Homeopathy. Here are some points to remember. But homeopathic remedies can be formulated in the form of cremes, tablets, gels, sugar pellets. • Although people sometimes assume that all homeopathic remedies are highly diluted and therefore unlikely to cause harm, some products labeled as homeopathic can contain substantial amounts of active ingredients and therefore could cause side effects and drug interactions. • Homeopathic remedies are regulated by the U.S. Food and Drug Administration (FDA). However, FDA does not evaluate the remedies for safety or effectiveness. • Several key concepts of homeopathy are inconsistent with fundamental concepts of chemistry and physics. There are significant challenges in carrying out rigorous clinical research on homeopathic remedies. 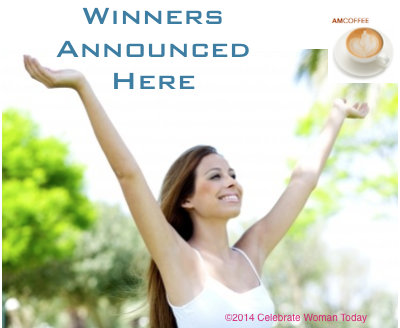 • Tell all your health care providers about any complementary health practices you use. Give them a full picture of all you do to manage your health. This will help ensure coordinated and safe care. Like any other medicine, each person’s reactions may differ in response to the remedy. In the last two months that I have participated I have learned a lot here too (plus, made some good friends). No i can’t say I’ve have ever tried a homeopathic remedy, or even heard much of it for that matter. I have heard the word before but never knew what it meant. And to be honest I’m still confused lol! Usually, homeopathic remedies have sources of the “actives” or “active ingredients” derived from Plants, Flowers. There are no harmful chemicals produced in the lab that you can find in the homeopathic remedies. Is this like getting allergy shots? My youngest Granddaughter is 4 and the poor thing has got stuck with it all. Allergies Asthma and Seizures. I would love for her to get Homeopathic Therapy of some kind but unfortunately where my 2 Granddaughters are right now I dont have much of a say, I can only suggest. I get the allergy shots and so I think this is the same they as getting the shots. My moms allergies are so bad with the pollen that she gets the shots as well. i always feel for her if she does not get them. Her allergies are severe. Yep I am going in the morning. I just learned something. Had no clue Zicam is homeopathic. I prefer homeopathic meds over anything. But I do know they can have reactions just like anything else out there. Thanks Laura, for clarifying what homeopathic is, many people look at me strange when I tell them that is my way of treating. There are different points of view on Homeopathy. Many factors at play here: quality, formulas, testing, individual reactions, and so much more! Not all homeopathic remedies are created equal. Keep in mind that Homeopathic remedies started as Water-based solutions, not coming in tablet form. But sublingual technology and our body’s ability to absorb much quicker into the blood stream from the under-the-tongue niche does contribute to success as well, i.e., tablet formulations. I’ve been taking Zicam Cold remedies and love them! Have not yet experiences their Allergy, Nasal and Congestion Relief options yet. And I do need Allergy stuff! I belong to the group of people who can be easily incapacitated from allergic reactions. No not all are created equal. Something I know first hand! 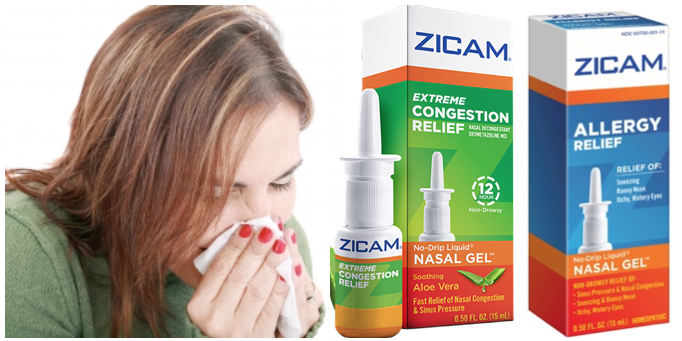 Good morning, Elicia — our Zicam Allergy Relief is a homeopathic alternative to other nasal congestion products. It’s non-drowsy relief of sneezing, runny nose, itchy/watery eyes, nasal congestion, and sinus pressure. Here’s a coupon to give it a try! I didn’t know all of that. I knew a little about homeopathic. I have heard of homeopathic products. I think a more holistic and natural approach to healing works better for me. Holly: I usually try the natural way first. If that fails me I turn to Homeopathic. Usually, it is for colds so if my Elderberry/Camu Camu doesn’t cut it I turn to Cold Calm. I had no idea that it was Homeopathic. The majority of you is familiar with Dr. Andrew Weil, who promotes a natural way of living and treating our bodies with the “medicine” Nature provides. An amazing individual with encyclopedic amount of knowledge and experience, a renowned speaker and proponent of body’s healthy living. I would like to offer Dr. Weil’s point of view on HOMEOPATHY. • The law of similars states that a disease is cured by a medicine that creates symptoms similar to those the patient is experiencing. Hence, an important part of the prescription of a homeopathic medicine is a lengthy interview to determine all the symptoms. The homeopathic physician then prescribes the medicine that best matches the symptoms. • The principle of the single remedy states that a single medicine should cover all the symptoms the patient is experiencing: mental, emotional and physical. You hit the mark with your comment. I think now here anyway the docs are cutting back a lot on the anti antibiotics. That is what I was told by my physician and my sons pediatrician because it was getting so bad. I am immune to penicillin and amoxocillin (sp?) that was my main reason to ask. I suffered from chronic ear infections as a child. The worst part for me now is that if I do need a antibiotic the drugs that I can take are the super powerful ones. The ones that can hurt your liver with excessive use. I have friends that their children are constantly on a drug to “cure” this or that. It spins my head just because of my experience. You are like me because I used to get amoxocillin all the time for sinus infections and bronchitis. My body got immune to it. Now I can take it again though. Which is weird, I had stopped taking it for years. Since being on the shots I don’t get sick like I used too. Rebecca: Not me. I have been immune to it for over a decade. A few years ago my dentist tried giving it to me. I told him that it would not work on me. He insisted. A week later when I went to see him, he was shocked that it did not work. I tried to explain to him that “I told you so”. I have to agree wtih Jessica, I always say that we are overmedicated. I would rather take less medicine if it was as effective as the higher doses. Not a big fan of putting just anything into my body. I like the small does because you could have a sever reaction. I agree we are over medicated. I agree. We do over-medicate and a small dose should be taken first. I am so lost so does homeopathic mean that they give you something that triggers your allergies? I need to see a specialist that’s how severe my allerges are so if this is something that would help please let me know! Look at Homeopathic remedies as something that you take as an offering from Nature, rather than from the Chemistry Lab. Makes it easy to understand. You do not need to know the HOW, if it’s hard to comprehend. It is the Concept that we are trying to convey here. Easy, as eating, breathing, walking. When we partake in this Natural way of healing our bodies with natural remedies offered by Nature, we allow our bodies to find through the ways to heal. Over 50 million people in the U.S. have some type of “indoor/outdoor” allergy, known as seasonal allergies, hay fever, or allergic rhinitis. Actually, it is very hard to pin point the Number of people suffering from allergies, as the sources of allergies are infinite. 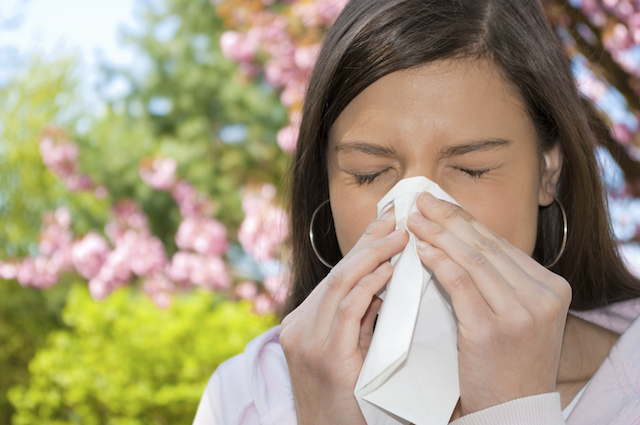 Seasonal and other indoor/outdoor allergies aren’t just annoying. Asthma is sometimes triggered by allergies (although most people with allergies do not develop asthma). But if you do have asthma and your allergies aren’t well controlled, you may be more likely to have asthma attacks, which can be dangerous and even life-threatening. Okay I think you nailed all my allergies above. My son is even allergic to industrial molds. I read a article in a medical journal years ago. There was a link between exposing babies/children to cigarette smoke (even third hand when clothes are exposed) and the child developing asthma. I know there are other factors but I thought this one was huge and something the parent can prevent by not exposing their children to smoke. I do agree with that Elicia. It think it has an effect on ones that have genetics for asthma. My kids have asthma triggered by allergies, sometimes it turns into respiratory infection. It gets very windy during summer and they are miserable. I definitely have allergies to pollen, grass, and mold spores. The Spring months are often difficult to get through without medication. Oh my I feel like I am allergic to AIR sometimes..Even using my daily Flonase Spray I always seem to be stuffed up from something. Right now I am not able to see my doctor due to an insurance change. But I luckily have my script for a year. Thank you for being here with your answers to some urgent questions. We’d love to have you back and learn more about your Zicam Products for every season you have. Zicam Cold is one the staples in our house. Thank you to the entire Zicam Team who makes a tireless effort to explain and market the product. My daughter and I both have and yes the allergies sometimes get so bad does trigger asthma symptoms. I triggered by all of the above! I need to have a test done to see what all I am allergic to. Just have to wait till I get back on my insurance. Spring pollen season starts much earlier than many people think. In large swaths of the country, including the eastern seaboard and the Ohio Valley, pollen starts filling the air as soon as the weather warms up just enough for the trees to begin budding. – Ask our Sponsor, Zicam, about the benefits of using Zicam Allergy, Congestion and Sinus Relief. – Ask about any adverse reactions, too. What are the known adverse reactions to Zicam??? I am curious to know if your products only work with sinus relief or if it will help with common eye irritations as well? This is my question too. What is the life once you administer the med? Hello Jessica, Karen, and Elicia — sorry for the delay in getting back to you on this great question! Not sure that our product works with eye irritations, but the Allergy Relief gel will help relieve common allergy symptoms like neezing, runny nose, itchy/watery eyes, nasal congestion, and sinus pressure. It can take some time to work, so please follow the directions on the package about dosage. Zicam Allergy relief temporarily relieves symptoms due to hay fever or other upper respiratory allergies — so you will have to keep taking it as your symptoms are active. I have asthma also so with my allergy flare-ups I get the sinuses and my asthma will start acting up which product if any would help with both. What are the known side affects? How long can you take you product at one time? Does Zicam help with indoor and outdoor allergies? Holly, common allergens are things like pollen, ragweed, dust, outdoor mold, and grass… and Zicam Allergy Relief can help provide temporary relief of the symptoms of these allergies, such as nasal congestion, sinus pressure, and itchy/watery eyes. Let us know if you have a specific allergy you’re hoping to learn more about, and we’d be happy to relay the question to our call center. Thanks! Please…..I dont know if I missed or not But what are the reactions to BP meds with Zicam?? Is there a certain group that suffer from the side effects, like children, elderly? people with HBP? All 3 of our products are non-drowsy, so you can use them during the day. You might like our Extreme Congestion product, which is formulated with soothing Aloe Vera! So should you actually start before any symptoms? If you DO KNOW what kind of allergies you have and when they’re being triggered, I always start taking my remedies as a preventative measure. Can allergies cause chest pain??? And what are the benefits of using Zicam and the risks? Not many people know that KNOWING THE REASON for an allergic reaction can actually expedite the correct treatment and your response to the allergies! To “discover” the underlying cause for your allergic reaction, a simple blood test can be conducted! IgE testing precisely measures the blood level of IgE antibodies produced in response to exposure to specific allergens. If you do not know WHAT exactly causes your allergies —> Head over to the doctor and ask for IgE test! Knowing the What could be your timely response to the allergies you’re suffering from! Act quickly, so the severity of allergies do not develop into a more serious disease. Obviously, if you do not have any allergies, why bother to have it? My oldest only had his shots for two years than stopped and he has not had ear infection in years. He is the one who has choolesteatoma in his left ear. I spelled that wrong sorry. cholesteatoma. Have you tried to remove it surgically? It is treatable and very successfully. FYI for others: An abnormal skin growth in the middle ear behind the eardrum is called cholesteatoma. Repeated infections and/or a tear or pulling inward of the eardrum can allow skin into the middle ear. Back then they were not sure if it was hereditary or from to may ear infections. They think he may have been born with it. Yes he had the bones taken out of his ear at age 2 which their are 3 in inner ear anyway the one was destroyed I believe but others were put back in at different time but can’t remember age he was older. He is legally deaf in that ear but can hear certain tones. If left untreated, it can lead to loss of hearing. It can also attack the mastoid bone surrounding the brain. Bad things can happen if not treated it can also attack the nerves because he loss taste on one side because it was wrapped around the all his nerves. Ears are nothing to play around with. I do know that sinus ear infection can lead to sinus infection and that can lead to walking pneumonia because it has happened to me plenty of times. My husband was tested for allergies. Great advice. I have never had an allergy test before, but I should do it so I know exactly what to avoid and how to better treat my allergies. I have always wanted to get an allergy test. Sounds like a wonderful idea right now. This is making me slightly crazy 🙂 Well crazier …..
My doctor keeps telling me currently to wait before am put through testing as some of mine could be caused from the many medications I am on, is this true or should I asked to be tested anyway? This my personal opinion here, not advice –> If I suffered from allergies, even if I took medication for other conditions, I would have requested an Allergy Test for IgE antibodies. This won’t harm in any way to know if I have any allergies. UNLESS, some medication can MASK the sources of allergies when the IgE test is conducted. But I have not seen any info on that. Doc could have meant that your immune system is lowered because of meds also. This is the test I was talking about earlier!!!! I NEED THIS TEST! my aunt and sister took it and came back allergic to over 100 things and have to take shots to trigger their allergies in hopes to get the body used to it. Although I’m not sure what it’s called! For seasonal allergies, beginning treatments 1–2 months before the season starts can help reduce the severity of symptoms. 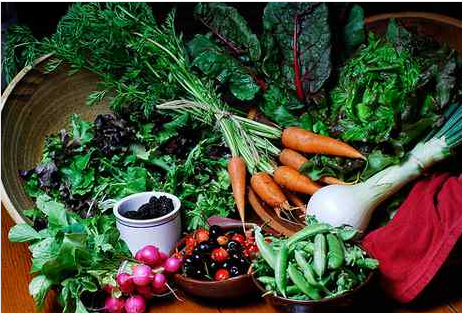 Good health can help ease allergy symptoms, and good health starts with nutrition. People sensitive to airborne allergens may also be sensitive to certain foods. These can help your body handle allergies much better, and make any remedies (like Zicam) you are taking much more effective. This past year I looked a lot into Camu Camu. It is a fruit that is grown in Peru. One of the claims is that is aids in treating asthma. I can attest to the claims that it boost your immunity and also helps with depression (the depression part I know because I was waiting on my next order and it was a week late. I missed a weeks worth and noticed that my mood began to become “sad” (winter months= depression for me), once I began taking it again I noticed my mood stabilized). Thanks for the information on Camu Camu Elicia I may have to try this. Constance: I bet!! I do have first hand experience with individuals that have not taken their “Happy Pills”. I do not wish to have ANY allergies, better or less better! he, he! I didn’t know this. Thanks for sharing this valuable information. Constance: Have you read Jessica Sienfield’s cookbook. It is directed towards parents on how to hide the “good” foods in food items. I myself am so picky and I have cooked several of her items and I could never tell. I tricked myself! This ties into what we were chatting about the other morning. Eating veggies. Thank you I WILL TRY THIS!!! And will tell others in the family too!!! Thank you! I think I did it. I liked/shared and commented. 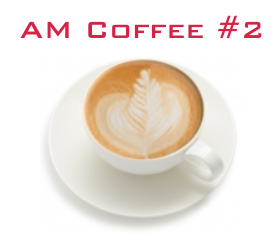 Thank you Zicam for coming to our #AMCOFEE. It was nice having you. 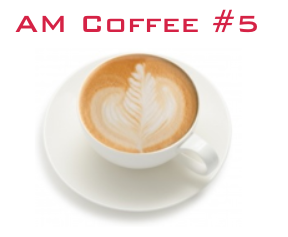 Thanks Laura and Zicam this was my first am coffee and it was such a great topic! 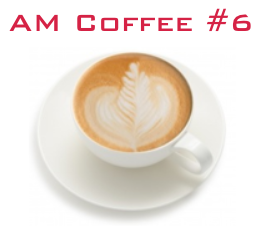 • Please add to the form: AMCoffee 5/15 ZICAM. Thank you Laura for another informative chat and Zicam for answering our questions.